Can things be going well when you have to schedule a meeting with your attorney and her baby? The team is gathering data, observing the client, makings and learning that there are a lot of things that it doesn’t know. For example, who are the important people that need to be include? Why is the CEO still in Switzerland? And why is Henry Kissinger on the audio drama? 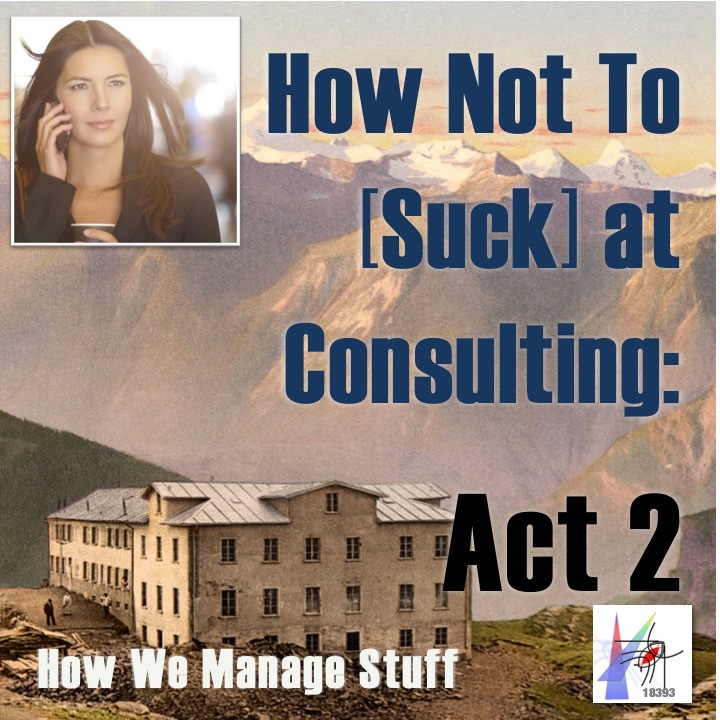 The second act of our story on technology consulting.